Have your ever searched about which is the best blogging platform to start a blog i mean Blogger vs WordPress, yes probably you searched that when you put a step in blogging. After thinking about how to start a blog it is the second most question among most of users. 1 Blogger Vs WordPress : Which is Best Blogging Platform. 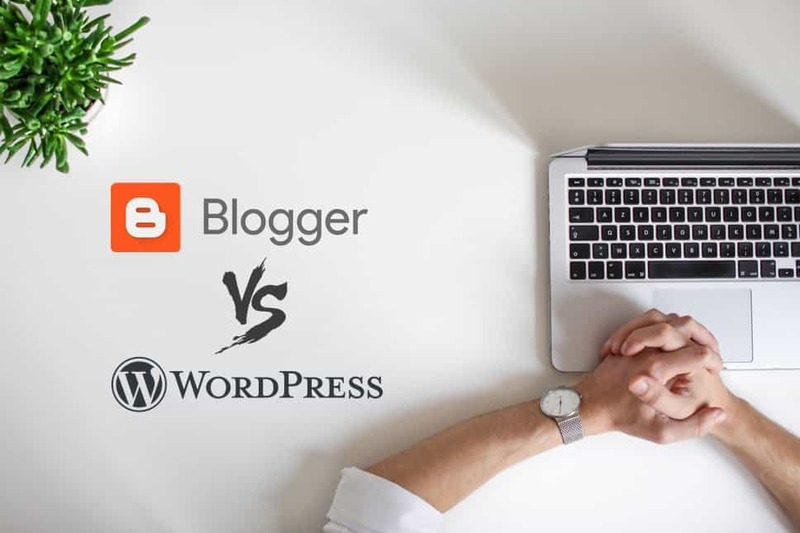 Blogger Vs WordPress : Which is Best Blogging Platform. So lets come to the point, which is better among WordPress blog or a blogger blog. Both of the platform provide a good startup to the beginners so that they can have a nice user interface as well as best SEO tectis to boost their blog in the Google search engine. Choice of starting a blog and choosing the right platform is depend upon the your criteria, if you only wanted blogging for a passionate habit or you want to build up a career in it to earn a good coffee bucks. Both the WordPress and blogger are good for beginners there is nothing to worry much about it. But keep in mind that what are you going to do with your blog and according to that the blogging platform is chosen. So below are the detail information about these blogging platforms. Hope you will find the best answers for you. Blogger is the largest blogging platform made owned by the Google. It was first made by the Pyra Lab but later in 2003 Google bought this and connect it with their free sub domain which is Blogspot. Blogger is currently hosting Millions of blogs across the world and best thing about blogger is that it is free. You don’t need to buy a hosting to host it or a domain to connect with it as all this things are provided in itself to you. Here are something which are great in blogger blogging platform which you will love as a beginner to have all of it that’s also free . Yes blogger also have some disadvantages , what it is by Google but it still hold some backdrops which are provided here. WordPress is the most popular blogging platform to make a blog. WordPress prove multi site integration, means after installing WordPress in you host you create unlimited blog in your host and manage them all in one place. Unlike the blogger the WordPress has the large no of Plugins & themes in WordPress directories. Most of Popular themes are available free and some are paid which are easily available in market like Evanto. WordPress is the best blogging platform if you want to go for a long term in blogging field. WordPress has the best support ever and its always getting updated at a specific period to provide best experience to users. WordPress enable plugin support which lets user to anything like customization , SEO tectic in just a click without having more knowledge about coding. Hope you have got your answers regarding Blogger vs WordPress which is best blogging platform to start a blog. If you are going for a long term and want to earn a good revenue from blog then i will suggest you to use WordPress it is best in terms of customization as well as great support. Rest it just up to you to choose one.